What kind of truck do you picture yourself in? Is it something small and handy around town? Or maybe something on the larger side, capable of hauling any amount of cargo weight you may need? With GMC trucks, it is difficult to go wrong when finding that next pick up of your dreams. We understand there are a lot of truck manufacturing brands to choose from these days. 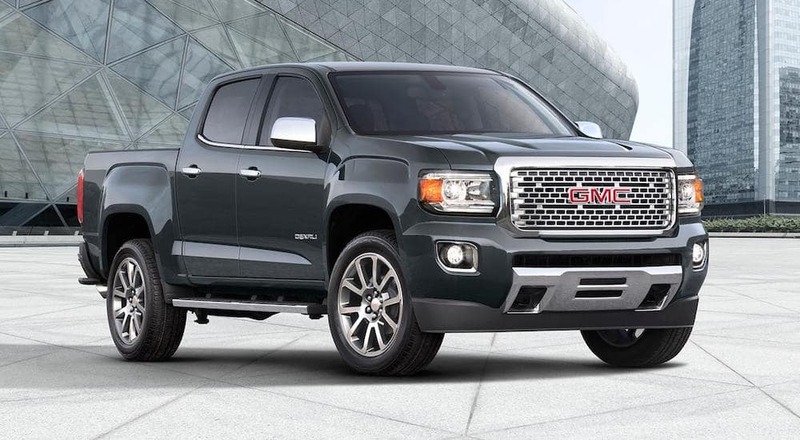 While others may offer a stellar standout now and then, only GMC has a complete lineup of light, mid, and heavy-duty pickups that all are top-notch compared to the competition. In fact, GMC helps millions of customers each year find the next truck to meet their unique demands. The GMC badge has come to represent true pickup quality for personal and commercial use alike. When you want better performance, more capabilities, a good supply of features and accessories, and more, GMC will be the way to go time and time again. Why experience the same frustrations most people go through when deciding on which pickups to look at? What can you expect with a GMC truck? Read on to answer these questions and find out all you need to know to understand the unique advantage that GMC can offer you and your next pickup. In the end, we are sure you will know why GMC stands above the competition. Most car manufacturers try to take a very general approach to their overall model lineup. In theory, if they can offer a vehicle for anyone and everyone, the more they can sell and the more money they can make. GMC, however, takes a different approach to designing and manufacturing their vehicles with a particular audience in mind. GMC stands for General Motors Truck Company. Decades ago, this company started with the sole purpose of providing great trucks and utility vehicles for people who could not get by with the simple family sedan on a daily basis. Since needs vary regarding larger vehicles, the company found success by offering models that were extremely versatile. From light duty pickups, all the way to the heavy-duty behemoths, GMC’s overall lineup of trucks is unrivaled in its capabilities and versatility. In fact, GMC has long been the preferred brand of commercial trucks, buses, military vehicles, and more. From large government contracts to helping out small businesses, the company knows how to build a vehicle that will last decades of abuse and use. They are also extremely adaptable to your individual needs. Whether you need more performance or customized accessories to hold the tools and equipment you require on a daily basis, the GMC vehicle platform is highly adaptable. Best of all, there are so many choices in the truck lineup this company offers; it is difficult to go wrong when searching for that next truck. What type of truck are you looking for? Are you concerned with feel efficiency and need something smaller to get around town? Do you have a lot of cargo to haul on a daily basis and therefore need a truck with the engine and drivetrain to tackle the heavy load? Regardless of your individual needs, GMC has a truck for you. The GMC truck lineup is filled with a variety of models ranging from small to large, each coming with a number of different options to choose from to tailor the perfect vehicle to match your preferences. On the lighter side, you will find notable models such as the GMC Sierra 1500 and 1500 Denali. Starting at around $29,000, this light-duty truck is capable of towing up to 12,500 pounds with little effort. If you need more power, larger engine options and all-wheel drive are available and upper trim packages. For heavier loads, up to 23,300 pounds, the Sierra HD and HD Denali are unrivaled in the heavy-duty, half and full ton categories. These trucks are often the base platform for specialized, commercial vehicles that need to be customized to the exacting specifications of a particular job. Beyond the same set of powerful engine and drivetrains options available, you’ll find an entire slew of possible customizations and upgrades. We will even toss out the traditional bed for a flat platform you can mount various toolboxes, and accessory amounts to anytime you wish. Let’s not forget about the little guy. For midsize trucks, there is the GMC Canyon. Smaller in profile, this midsize truck maximizes fuel efficiency and maneuverability while still providing a respectable 7,000-pound towing capacity. For anyone not needing a heavy-duty commercial vehicle, the Canyon is a perfect choice for experiencing the benefits of trucks in a small package. Either way, you decide to go, it is difficult to make a wrong choice with a GMC truck. The best thing about these trucks is how they are meant to give you the performance and reliability you need no matter how you will use them. A GMC truck is made with the promise of true performance whether it is the first day you drive it off the lot, or the moment it reaches 300,000 miles. It is important to have a truck that will maximize its value to you without requiring constant repairs or maintenance. The benefits of a GMC truck don’t stop with just the vehicle itself. GMC in a dealership like Carl Black Roswell actually gives you more for your money in terms of service. From exploring financing options, getting unparalleled service and maintenance on your vehicle, and having a one-on-one experience with one of our stellar service staff, we make it easy to buy your next GMC truck with us. Carl Black has served Roswell and other areas for many years. At our roots, we are family owned and operated to provide a customer experience you do not typically receive from other dealerships. With most dealerships, the experience is corporate and stale. You come to the lot, tell them what you want, and then receive the same run around most people dread experiencing. That isn’t how we do business since we know all of our customers want something more genuine from their local dealership. Therefore, you should expect nothing less than the best from our sales staff. We treat customer service as our number one priority, far more important than making a quick sell on a new vehicle. 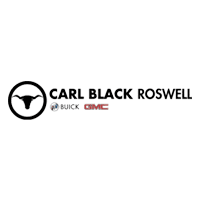 As a result, you should expect nothing less than the best experience with Carl Black Roswell whether it is online, through the phone, or in person. We work with our customers to establish a long-term, beneficial relationship. Quite often, when a new customer walks out our doors with new keys in hand, we know they will be back for anything and everything they may need automotive-wise in the future. If you find yourself in the market for a new truck and want to see what kind of vehicles GMC can offer you, get in touch with us today to begin the process. We can take you step-by-step, guiding you through all of the particular differences and nuances between each GMC truck to help you determine which one is right for you. All it takes is a phone call, email, or visit to our dealership whenever you’re ready.